Hand Baked Shmurah Matzah Order Form! 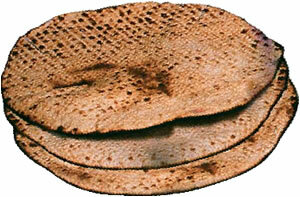 As in the past years, you can order your very oen handmade shmurah matzah the ea. Traditional handmade shmurah matzah is recommended for Seder use. Include handmade shmurah matzah at your Seder table and share this sacred tradition with your friends and family. Numbers input below are in pounds there are between 6 and 9 Matzot per pound. Price per pound is indicated under each option. It is recommended to use three whole slices for each Seder, and that each individual at your seder have the equivalent of two whole pieces for use when they eat the Matzah and the Maror and afikoman there is also a custom to have two whole pieces for use during the time per Shabbat and holiday meal , and more matzah to eat throughout the week of Passover, so feel free to order accordingly.